Cablecast Live broadcasts your station’s content live in beautiful H.264 HLS streams over the internet to your community and beyond. 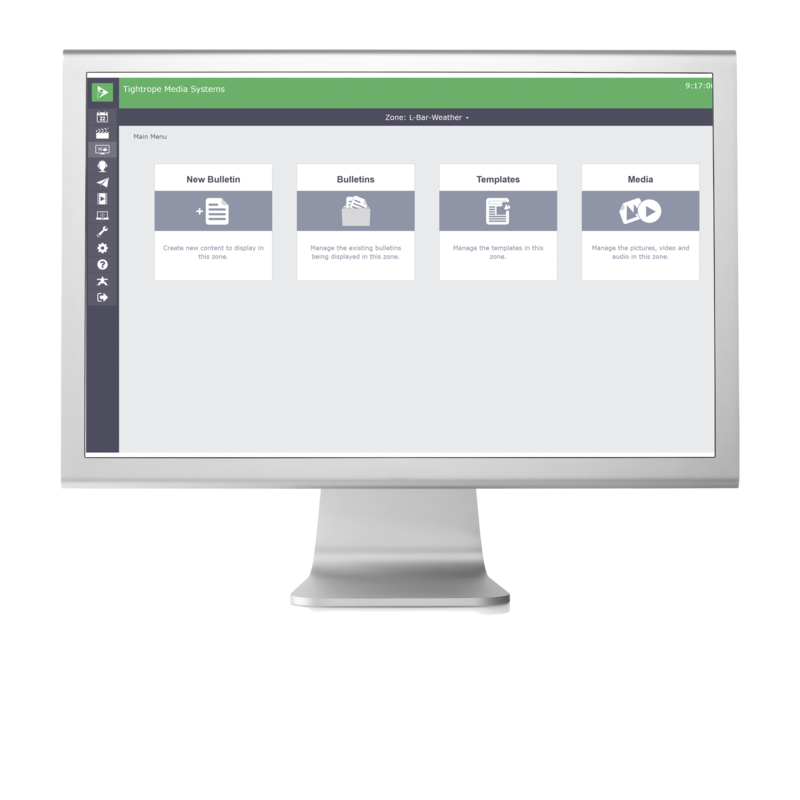 Cablecast is your complete automation solution for playback, web content publishing, schedule promotion, reporting and more. Brighten up your channel with a powerful community bulletin board featuring stunning design templates and convenient dynamic feeds. I have been a Tightrope user for over a decade at multiple access centers and find their continued dedication to innovation and customer support second to none! Any time I’ve had a problem, which honestly has been rare, they have responded in a timely manor to solve the problem. Keep up the good work! The responsive design of Cablecast’s interface automatically adjusts to whatever device I’m viewing it on, and makes it easy for me to remotely make programming corrections or address changes in the schedule from wherever I am. As someone who has worked with other engineers and support teams from other Broadcast vendors, I can honestly say that I have not seen such a quick turnaround and attention to the customer, especially when it mattered most for our station. The workflow for publishing and delivering online content with Cablecast Reflect continues Tightrope’s signature ease of use, which is also what drew us to Cablecast. When we add a program to our cable schedule, we simply check a box to indicate whether we also want it streamed live or published as VOD online. Cablecast Reflect is a game-changer because it makes HD online content distribution affordable. Since Tightrope really understands the needs of PEG channel providers, they've designed an automated, affordable solution that's perfect for us. Cablecast has simplified and improved our end product for residents. We have a simple workflow that allows us to make our videos look amazing, and quickly turn around our replays. The added features for emergency purposes and extra information really help our channels stand out. Cablecast Reflect—the latest upgrade to our Tightrope system—has enhanced our online media distribution via a highly efficient cloud-based streaming solution. With Reflect, we can better preserve and manage bandwidth while delivering higher quality live and on-demand streams to online platforms. Scheduling is much smoother, faster and easier with Cablecast. I can now search for when shows are running, and copy and paste blocks of shows between days. And while other systems required us to publish our schedules separately for each platform, Cablecast does it automatically for both our website and bulletin boards. 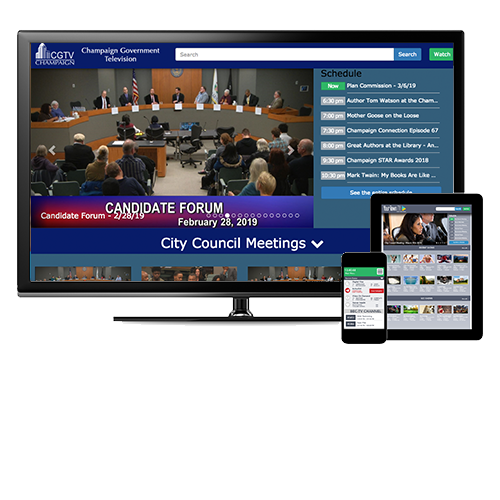 The Cablecast Flex 4 servers give us the flexibility to run the county's new HD channels and city's SD-only channel all from the same platform. The servers' integrated up/down conversion has also been handy in our transition, letting us easily blend existing SD content into our HD channels. With Cablecast, all I have to do is check a box when creating the schedule, and it automatically creates the high definition MP4 file and makes it available on our website. Creating live streams is equally easy and, like all aspects of Cablecast, has been very reliable for us – a benefit we didn’t have with our old streaming system, where our streams were often down. With our old system, bulletins were entirely manually managed. The Tightrope platform saves us a lot of time on the back end, automatically publishing and updating our program schedules on our bulletin board. It is also easy to use dynamic, external data sources in Carousel, and I was able to quickly integrate multiple Twitter feeds into our bulletins. Using the browser-based user interface, we can post emergency notices from wherever we have electricity and Internet connectivity. People in the community really sat up and took notice, as there was nowhere else they could go to get information that quickly. 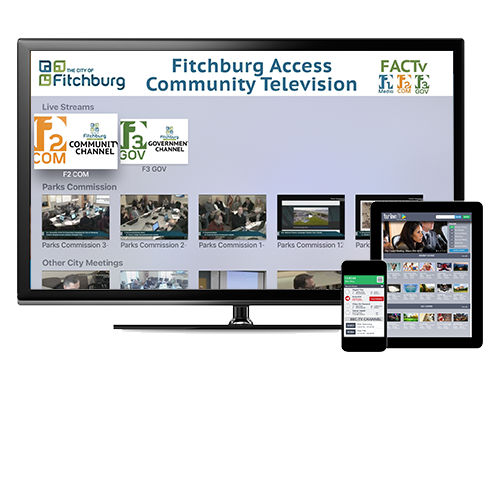 It made Falmouth Community Television instantly more vital to the community. Using Reflect to host the live stream, we enabled a very large audience to watch the live hearing with no issues whatsoever on the streaming side. And with Tightrope's end-to-end broadcast automation solution, we don't have to spend time buying and integrating separate products. Tightrope products are integrated to provide maximum impact with minimal workflow effort, and their software upgrades provide a level of enhancement one might expect with an entirely new system. The products are fairly priced, the technology is straightforward and easy to master, and the reliability is unparalleled. The Cablecast Team is working on new features everyday to ensure that the value of your investment increases over time. Be sure to check in here for regular updates and subscribe to our product updates email list to get notified of the latest releases. 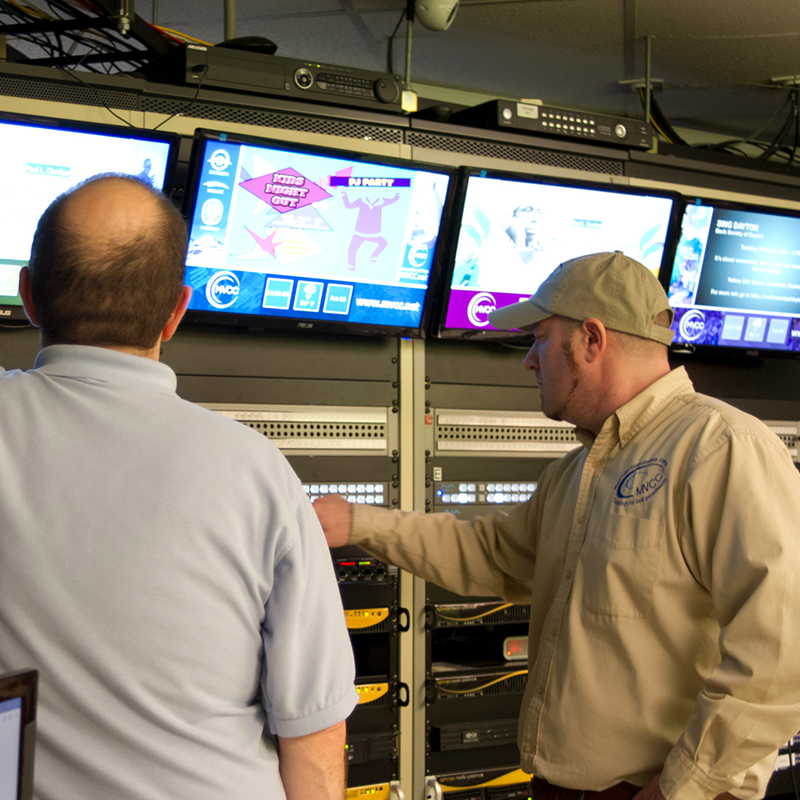 Everything you loved about the award-winning Carousel Digital Signage platform, now optimized for video server playout. Cablecast CG is an integrated graphic announcement system for your channel. It is the evolution of Carousel Digital Signage, specifically developed for on-air bulletins. Get it right in the box with the purchase of a Cablecast VIO video server. Don't have a cable channel? No problem. Cablecast 7.0 offers the ideal streamlined adaptive bitrate HD delivery solution for municipal, K12, higher ed, and house of worship content distributors. Cablecast direct-to-viewer distribution seamlessly integrates your workflow for Video on Demand, Live Streaming and OTT in a single, easy-to-manage interface. 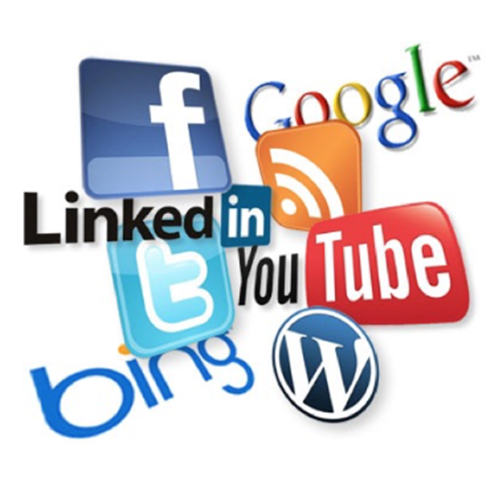 The Cablecast Community Media team is dedicated to keeping you up to date on all the latest trends. We reach beyond topics that only concern our products, to bring you updates on production, training, general non-profit news and more. Explore our fully-integrated, powerful government meeting solutions available in Cablecast with zero monthly fees. Cablecast's powerful and intuitive solutions are perfect for educational environments. 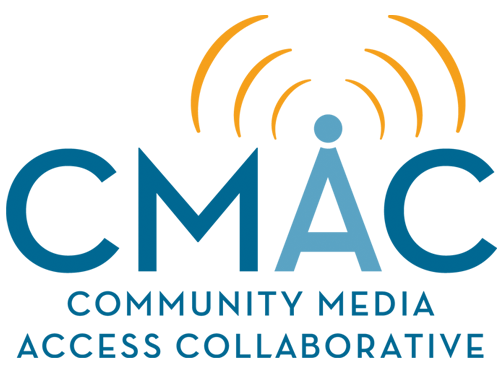 Cablecast originally sprung from a Community Media Center, so it was designed with CMC needs in mind.